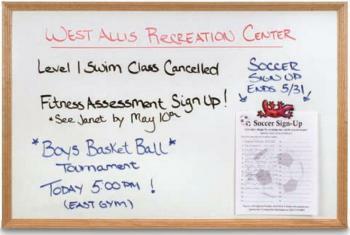 Big Dry Erase Board with detailed solid wood frame. This dry erase board features a beautiful beveled frame constructed of solid wood. 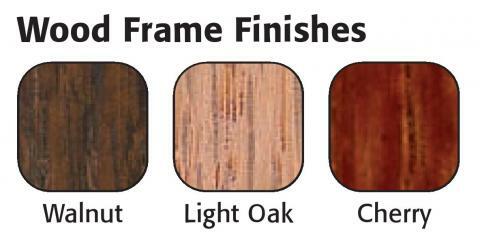 Choose from a Walnut, Light Oak, or Cherry Wood finish. This board is a great solution for a meeting room, office, or any formal setting. It is available in many big sizes. The dry erase surface is made of heavy-duty porcelain enameled steel (Best Quality). Porcelain enameled steel boards are magnetic and resist ghosting and scratching.